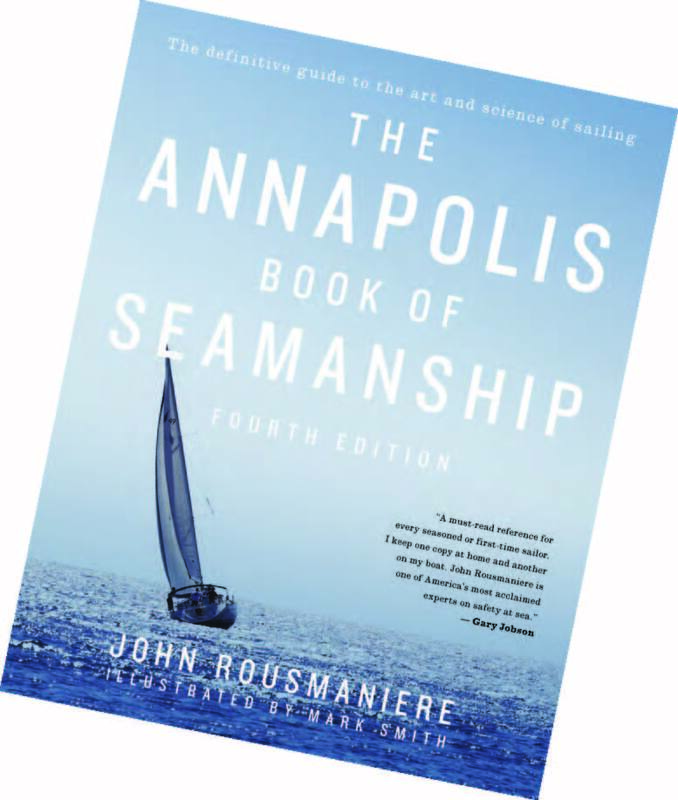 Editor’s note: Recently released by Simon & Schuster, the fourth edition of The Annapolis Book of Seamanship by John Rousmaniere is an updated version of the essential book about sailing and safety at sea. 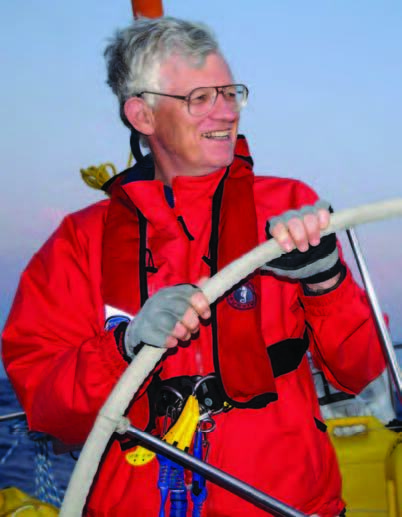 WindCheck contributor Amy Villalba spoke with the award-winning author about the new volume and the definition of seamanship. Amy Villalba: Tell me about the fourth edition of The Annapolis Book of Seamanship. John Rousmaniere: The first edition was 30 years ago, in 1983. It’s a very complicated book which took five years to put together. It continues to sell well, but needed updating. We had nothing on GPS or chart plotters; the safety parts have been updated a lot. I completely re-wrote five chapters, changed others; a third to half the words have been altered in some way. The fundamentals are the same as they were with Columbus, but we’re trying to emphasize them in new ways. AV: What are the key updates, particularly new technologies? JR: DSC, the digital system the Coast Guard uses for emergencies on Channel 16, is very important for any sailor. AIS, the beacon that projects information about your boat, is very important in crowded waters as people can see you from 6-7 miles away, tell what kind of boat you are and in emergencies AIS makes it easier to find boats. AV: The Annapolis Book of Seamanship is known as “the definitive guide to the art and science of sailing.” How much is art? How much science? 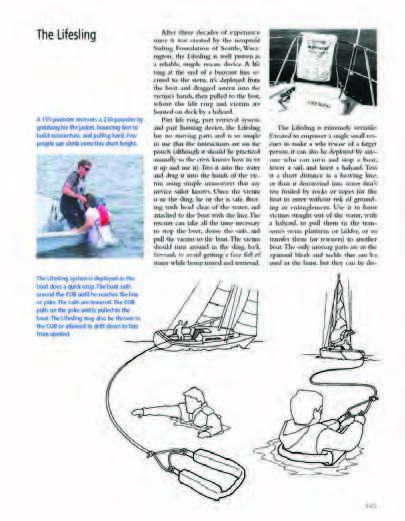 know, three ways to do a shackle, sail trim, or how to set a spinnaker. It’s some of those things, but it’s really a state of mind. AV: How would you encourage people who are intimidated by the technical aspects to try sailing? JR: I write of Corny Shields’ transformation just by being given the helm. Put people at the helm with gentle guidance, don’t get them racing or go out in too much wind. There’s this magic of turning this inanimate object into something that’s moving and feels alive. If you get people fully engaged, the technical stuff will follow. AV: Tell us about the Capsize & Crew Overboard Safety Clinic with US Sailing at Nyack Boat Club. JR: This clinic was not just for sailors, but for safety patrol, race committee, the flag officers, small boats and big boats. What makes them work is you have everyone in the same room so they can start talking. They have common concerns and many of the solutions are the same. AV: What are your tips to overcome reticence by crew to discuss what to do in a capsize? JR: Explain [that a capsize] is unlikely, but if something happens you have your life jacket, get clear of the boat, follow orders, talk clearly and try to tamp down on the panic. Rehearsals will likely ease any panic or confusion you have later. AV: Do you encourage safety drills? JR: Yes. Each week early in the season you might throw a cushion in the water, go back and pick it up. Get the boat turned around without causing more damage. Have someone spot the person in the water; the helmsman should be left alone to steer, the crew handles the sheets; come back and control your speed and also your course. Just need a little bit of caution, a little bit of anticipation that these situations may arise. AV: With US Sailing’s Timothea Larr Award, you’ve been recognized for your contribution to sailor education. For example, after your clinic at Nyack Boat Club, 175 whistles were given to the participants in the 2013 Womens, Juniors & Masters Lightning North American Championships. How do you feel knowing you made these sailors safer? JR: I’m very pleased. Nothing sounds like a whistle on the water. When Wingnut capsized on Lake Michigan the kids are on the bottom of the boat, two dead people are underneath, lightning all around and they start blowing their whistles and flashing lights. Another boat hearing the whistles in this extraordinary storm came over and saved six people. JR: If I don’t feel that when I go out I get nervous; I’m anxious that I’m not anxious. It’s an awareness of some of the risks involved that brings your consciousness to a higher, more focused level. In many ways this is a very traditional book because it says the most important piece of equipment on the boat is the sailor and that’s what seamanship basically is. Boat’s Ready – Is It Safe As Can Be?